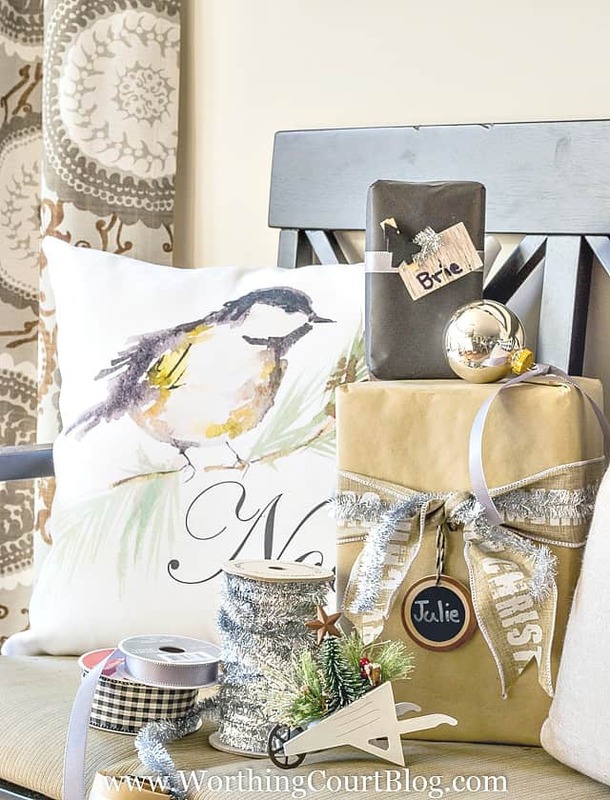 Do you love a bit of rustic, homey style at Christmas? How about a bit of sparkle and glam? These tips will show you how to mix the two styles and enjoy them both. It never fails. Every Christmas when I pull out my storage bins, I ooh and aah over favorite sparkly pieces and favorite rustic pieces that I’ve collected over the years. I don’t care for decorating with nothing but glitter or all glam. Nor do I want a totally rustic look in my home at Christmas. I don’t like having to choose between one or the other, so I decided to use them both! 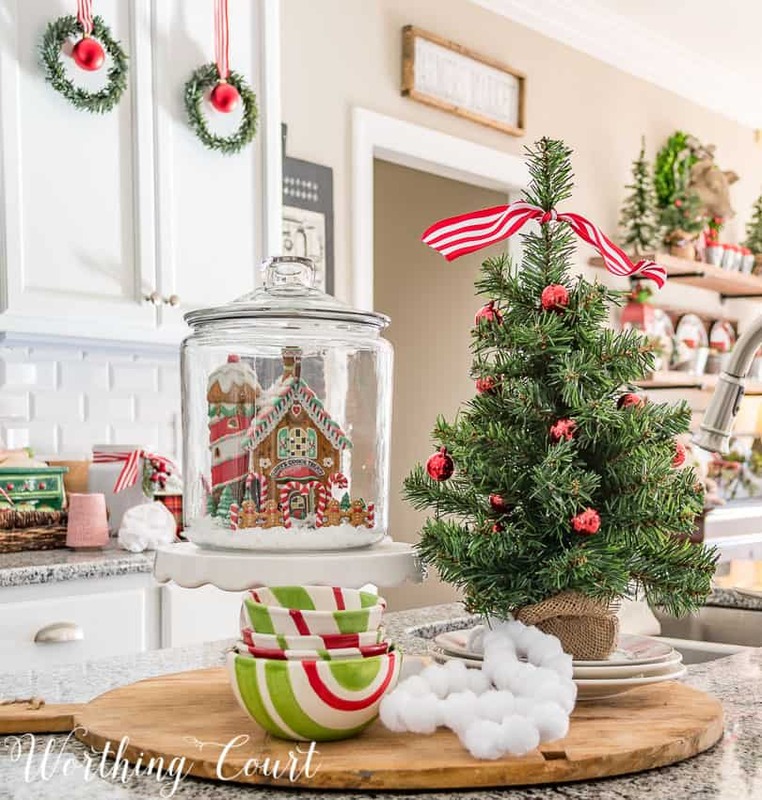 Let me show you how easy it is to mix the two styles together and still wind up with that welcoming, memory making, homey Christmas that we all crave. 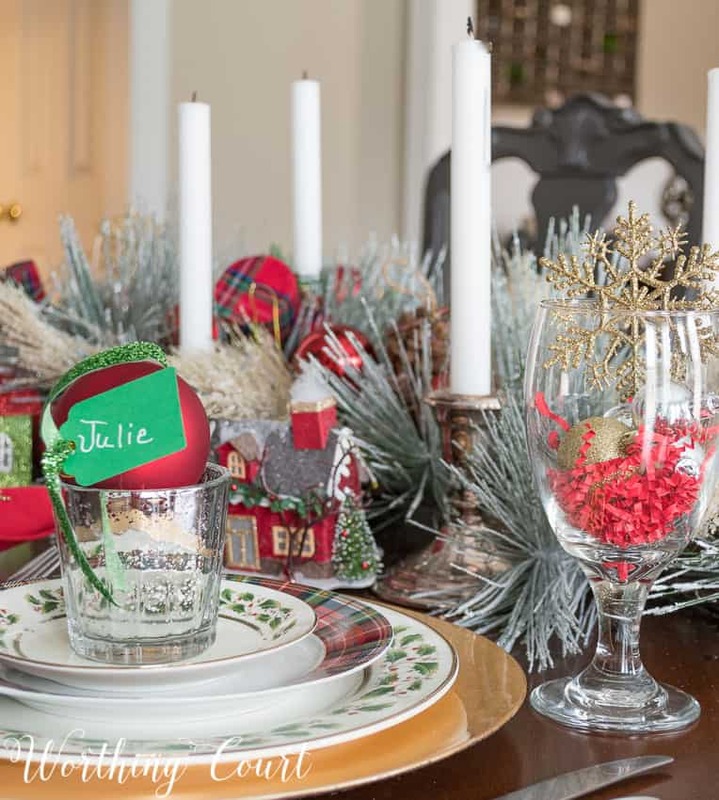 Go through your decorations and pull out only your favorite pieces – ornaments, decorative items, tableware – anything Christmas that you love. Thoughtfully examine the pieces that you’ve chosen and determine a main color that would work well with all of them. That will become your base color. Perhaps you’ve chosen pieces that have a lot or just a little bit of red in them, then red will be your main color. Or perhaps you have many different colors with no real theme – in that case I would use a neutral as my base color. Make sure that you include pieces that are sparkly or shiny along with pieces that don’t have a smooth, polished finish. Think glitter next to wood. Or mercury glass next to burlap. The base of your Christmas tree is an easy spot to add larger vintage items. Here I’ve included a rusty, crusty vintage olive bucket and a small chair that has been in my family for several generations. 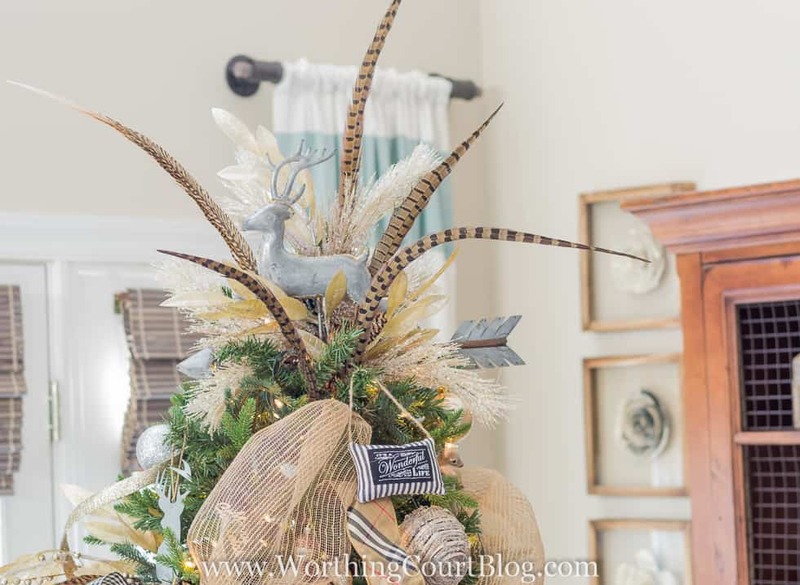 You can never ever go wrong adding natural items to your Christmas decor. They mix well with any style, plus items from nature add an element of “authenticity” like nothing else can. 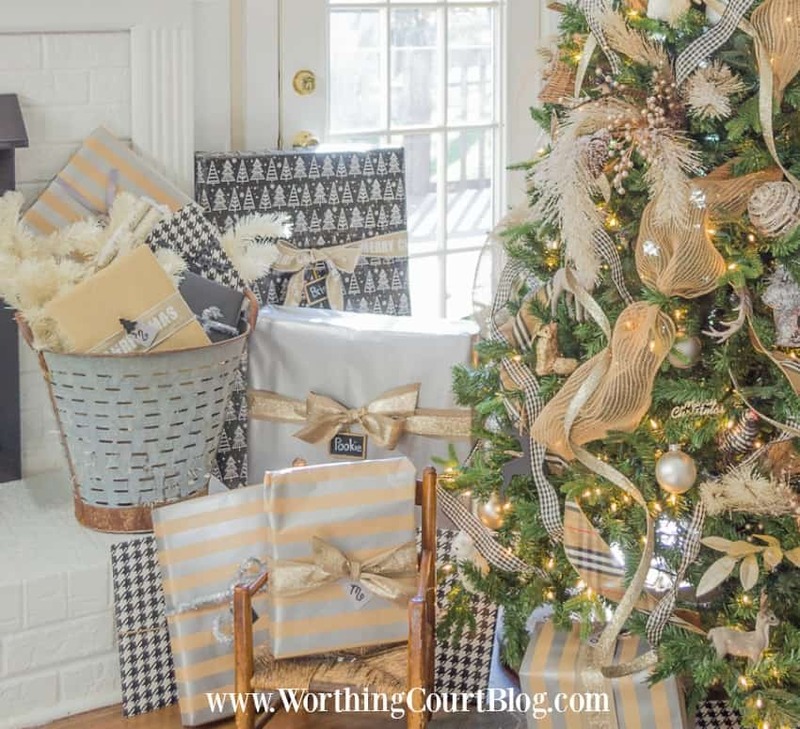 If you love the look of all those designer Christmas trees that you see in stores or if you just plain old need some help with tackling your Christmas tree, you’ll find this post very useful! 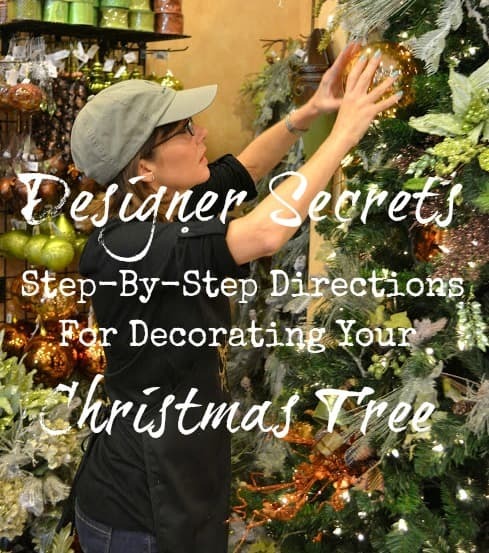 The style of tree used as an example in this post may not be yours, but all of the directions apply no matter what finished look you want. Rustic and glam looks good together. I tend to do the same thing and I like it. It makes a fun holiday decor. I usually tend to make our living room and family room more glitzy with silver white and my mercury glass and lots of candles and white twinkle lights. The kitchen is where I use more traditional red and green, Santa’s , greens and poinsettias and my Christmas dishes. Seems to work for us.Love the season and the decorating. Your mantel and tree are beautiful! Beautiful blend of rustic and glam. Perfection! 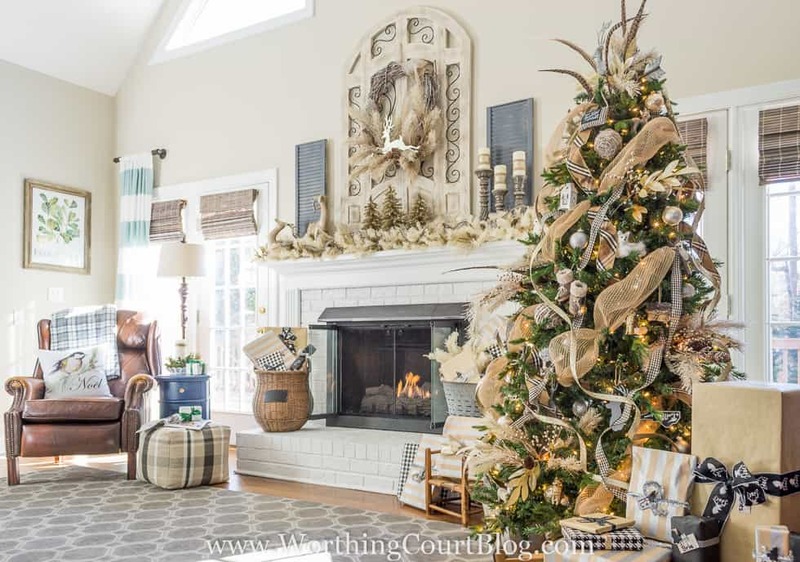 Your rustic and glam decorating is perfect! Love it! Would you tell me please where you purchased the bird pillow? I just love your style! Thank you Suzy! Much appreciated. What state do you live in Suzy? I’m assuming it’s in the south. Sure would love to see your home on a “tour of Homes”. Thanks for the great ideas of decorating. So pretty! I love rustic and glam! I love it! Thanks for the wonderful hints on how to mix the rustic & the vintage. I purchase the same tinsel last Christmas & struggled working it in what I had already. Love your inspiring ideas! I’ve used some already and will keep on checking back for more. Thank-you. Thanks for this post! I love all of the styles you mentioned and I’m never happy with my decor if I go with just one. Your tree is goregeous! Love the rustic and glam together! Some really great tips in this post. I’m going to select my main base color and go from there this year. I love how you decorated the tree. Very beautiful. We just moved into a much smaller home so there isn’t as much wall space or floor space as we had before. I love the ideas I see here to tuck a little basket here and layer a blanket there. Gave me ideas on how to decorate with a homey feel.